I recently read a post by ladaisi called Growing up with Books which got me thinking about the children’s books that have inspired me as a child and latterly as an adult. As a child I always had my head in a book, escaping into different worlds. Some of the great literary characters were also my good friends, I was right there with them throughout all their adventures, sharing in their triumphs and worrying over their setbacks. I blame my less than perfect eye sight on my propensity to sneakily continue reading well after being told to turn out my light. Using a little torch under the covers that seemed to eat AA batteries like they were going out of fashion was not ideal. Here’s ten of my favourite children’s books/series, old and new, in no particular order. JK Rowling created a fantastic hero in Harry, with a great set of supporting characters in Ron, Hermione, Professor Dumbledore and Snape, Dobby the house elf and of course Hagrid. She wove her stories around a world rooted in our own, but a little bit more magical. What I liked most about these books was how she matured the writing and the subject matter of what the characters were dealing with in each successive book. I can imagine children growing up alongside Harry, almost as if they too were at school with them and I find myself feeling just a little envious of them. I read each book cover to cover with as little down time as possible and I never tire of listening to the audio book recordings by Stephen Fry which are a lovely way to wile away the time on long car journeys. Truly this series is the Narnia of the noughties! As a young girl I was a bit of a Tom boy and loved climbing trees and making up adventures with my two younger sisters. 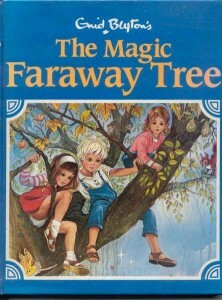 The stories of the Faraway Tree, where three young children discover a giant and mystical tree whose uppermost branches reach into the very clouds and the fact that it is so large that magical beings were able to live in it, resonated deeply with me and I was instantly captivated. Whatever you may think of Enid’s novels in light of modern political, cultural and social sensibilities you cannot deny that at the heart of her writing is a rip roaring yarn and good story telling. Enid had a way of making the unbelievable seem totally possible. This had the side effect of ensuring that my sisters and I often went off on what were sadly numerous fruitless quests in search of the Faraway Tree. 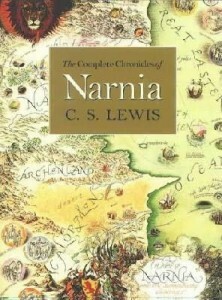 I remember my Nan bought me the whole set of the Chronicles of Narnia for Christmas when I was about 9 years old. I remember being fascinated by the magical world of mystical creatures and the divide between good and evil, summer and winter. The fact that children became kings and queens and were responsible for the fate of this world was an amazing idea. I have very vivid memories of being tucked up in bed with the books lined up on my shelf, all except the one I was reading. Every now and then I’d glance up at the shelf excited at the prospect of reading the next one. 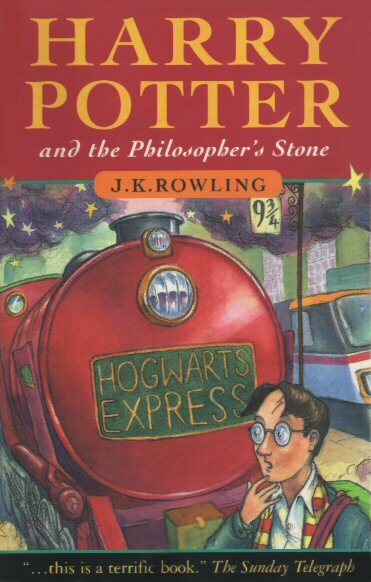 As an adult I now see the blatant Christian references throughout the books, the nuances of which were mostly lost on me as a young child so wrapped up was I in the fairytale. Though I don’t necessarily agree with the heavy religious overtones I still feel that the stories are a worthwhile read today. Another series that my Nan introduced me to. On school holidays my sisters and I would go and spend the day with my Nan whilst Mum was at work. One of my Nan’s favourite things to do with us was to pop into Westbury town centre for a cream tea and a visit to the Library and sweet shop. Well I won’t lie, the cream tea was probably the highlight, but the visit to the library was great. I remember when Nan got me my first library card and told me I could take out whatever book I wanted, well suffice it to say I was hooked. At 10 years old I was beginning to feel a bit too old for Enid Blyton and so Nan gave me my first Nancy Drew File. It had everything; crime, real baddies, mystery, a self reliant, skilled and exciting female central character and a dependable and lovable romantic interest. 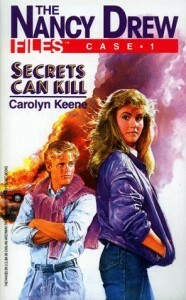 The Nancy Drew Files were a spin off from the original Nancy Drew Mysteries originally written in the 1930s. The characters were updated to reflect the modern America they now lived in and 124 books were written in 11 years from 1986 to 1997. Nancy was a sassy, savvy young teenage sleuth ably assisted by her pals and boyfriend Ned Nickerson as she rooted out the truth in the mysteries that came her way. These were great stories for a burgeoning young woman to get her teeth into. 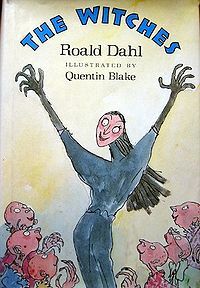 Probably my favourite children’s author when I was a child myself, Roald had a knack of knowing exactly how children thought and wrote his books to appeal very much to children. The Witches is a great story, full of evil witches with fiendish plans and money making schemes. Our hero does not get off lightly and there’s a fair amount of violence and wit in equal measure. Roald’s books (including the witches) have often been the source of controversy as he did not sanitise his books and to be honest I find this most commendable. Children are not as fragile as many would have us think and I firmly believe that by seemingly protecting them from the real world and its dangers we are only doing them a disservice. The Witches was read to me by my junior school teacher Mr Milroy when I was 10 years old. I remember clearly the passion with which he read the book that really brought it to life for me and I found myself eagerly awaiting each chapter he read. A classic read and a must have for all kids, essential preparation for life. A deliciously devious and morally challenged young anti hero, the genius and criminal mastermind Artemis Fowl, his supped up butler-come-bodyguard and sidekick named Butler. A hardboiled LEP Commander and his charge an idealistic young female LEP Captain – Fairy police! And I haven’t even started on the expert burglar dwarf and techno-genius centaur! How can you not be hooked, especially when the author himself describes the series as “Die Hard with Fairies!”. In these times of sanitised fiction and television for children where we wrap them up in so much cotton wool and then when they are no longer children fling them out into the harsh realities of the world unprepared this book is a breath of fresh air. Artemis is a true anti-hero, but through the series we’ve seen him begin to see the error of his ways, understand that his actions have consequences, understood his motivations better and perhaps felt a bit more sympathy for his earlier actions and watched as he steps up to the plate and takes responsibility. If that’s not a story that every child should hear to help them learn the lessons of consequences and taking responsibility then I’m obviously out of touch with the world. Added to that, these are rip roaring yarns, totally silly and lovable, with fantastic characters that you want to read again and again. Philip Pullman’s His Dark Materials Trilogy is a fantastic tour-de-force weaving together the stories of two central child characters who exist in different universes, Lyra, who comes from an alternative Oxford, which has a slightly Victorian feel to it and Will who comes from our Oxford. This is a coming of age story that explores betrayal, danger, adventure, war, religion, science, exploration, challenging ideas and norms, the establishment, love, redemption and sacrifice. 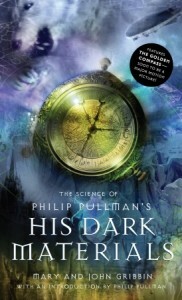 The books have been alternately praised and criticised for their controversial negative portrayal of religion in Lyra’s Oxford, which bears an uncanny resemblance to Catholicism. These books are an intelligent and engaging read and well deserving of the many prizes that they have won. Essential reading for the discerning young reader with an appetite to form their own ideas rather than just follow the crowd. 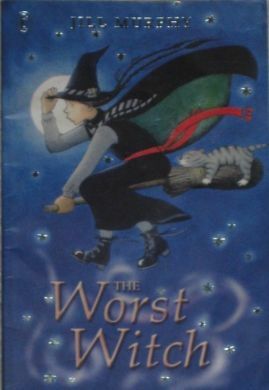 I loved these stories when I was at school and identified with poor Mildred Hubble, the well meaning student at Miss Cackle’s Academy for Witches who always managed to do things wrong and get into terrible trouble. When I found out that Jill wrote the first novel when she was just 15 and based the stories on her own experiences of school in a Wimbeldon Convent I found them even more engaging. The characters are suitably exaggerated and fun, and Mildred’s scrapes wildly improbable and infinitely predictable, but I think that’s what makes them so engaging. Mildred is a young girl just trying to get by and you really want her to succeed. A great light hearted and fun read. 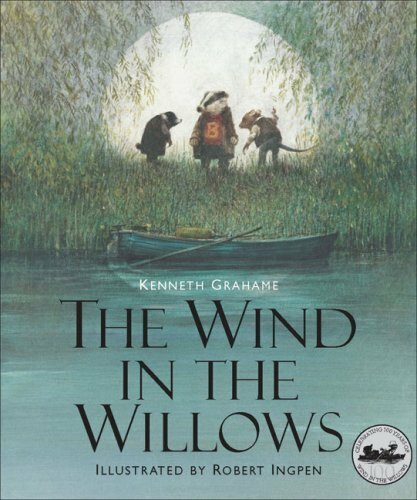 Taking you back to the river bank and a bygone age where Ratty, Mr Toad, Mr Badger and Mole play out their adventures in a countryside of a Britain gone by. The Wind in the Willows is a charming tale of the adventures of these four central animal characters set against the changing seasons of the English riverbank. The characters are well rounded and lovable and in the case of Mr Toad incorrigible. You can’t help but get swept up in the beautiful story telling and the nostalgic picture it evokes in its readers. A classic read for children and adults alike and lovely story for parents and their children to share. Strong, young feminine characters charged with saving a kingdom in a faraway land, magic and the evil spirits of the dead, steep learning curves, mysteries and untapped power. 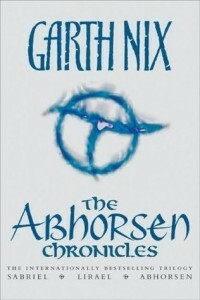 The Abhorsen series follows firstly the life of Sabriel and then later that of Lirael. 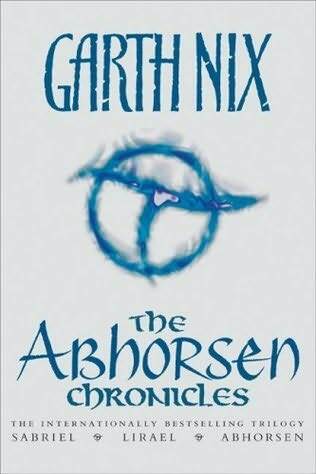 These two young women are destined to become Abhorsen, a sacred and revered position of magical power to ensure evil spirits and the dead cannot come back to control the living. There are evil demonic spirits out to get them and lots of personal journeys and obstacles that they need to overcome along the way. 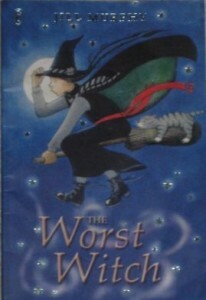 These books were a bright spark, dealing with life and death, magic and mystery, good and evil in a mature way that was still engaging and interesting for children. A very good read indeed! Another good article on the subject “Memories…. books I read as a child” by Jayne Fordham on her blog The Australian Bookshelf. This entry was posted in Interests, My Blog, My Reading and tagged "The Abhorsen Series", Artemis Fowl, Artemis Fowl Series, books, C.S. Lewis, Carolyne Keene, children's book, Enid Blyton, Eoin Colfer, Garth Nix, Harry Potter Series, His Dark Materials, His Dark Materials Trilogy, Jill Murphy, JK Rowling, Kenneth Grahame, Nancy Drew Files, Philip Pullman, Roald Dahl, The Chronicles of Narnia, The Faraway Tree Series, The Old Kingdom Trilogy, The Wind in the Willows, The Witches, The Worst Witch, The Worst Witch Colection, top ten. Bookmark the permalink. Hello! Thanks for dropping by my blog and also posting about your favorite children’s books! I love many of the books you’ve listed – especially the Harry Potty and Nancy Drew series. 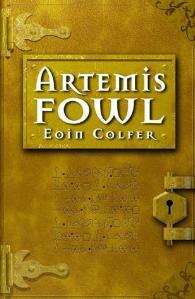 I’ve never actually read Artemis Fowl but I’m thinking I must try it out soon. I’ve been hearing much about it. It’s lovely to meet such an artistic individual as yourself. Keep posting!